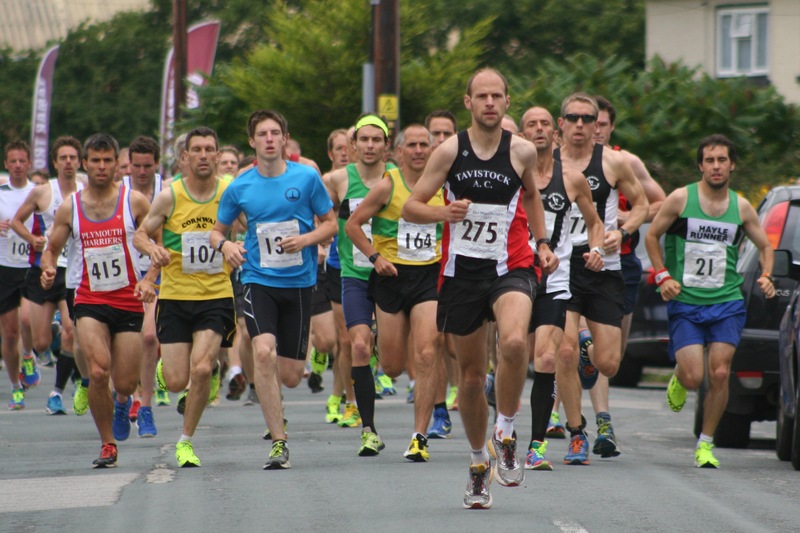 CORNWALL Athletic Club runners dominated the 2015 Magnificent 7 race at Saltash on Sunday morning. The Redruth-based outfit had three out of the first four athletes home and also the first female. 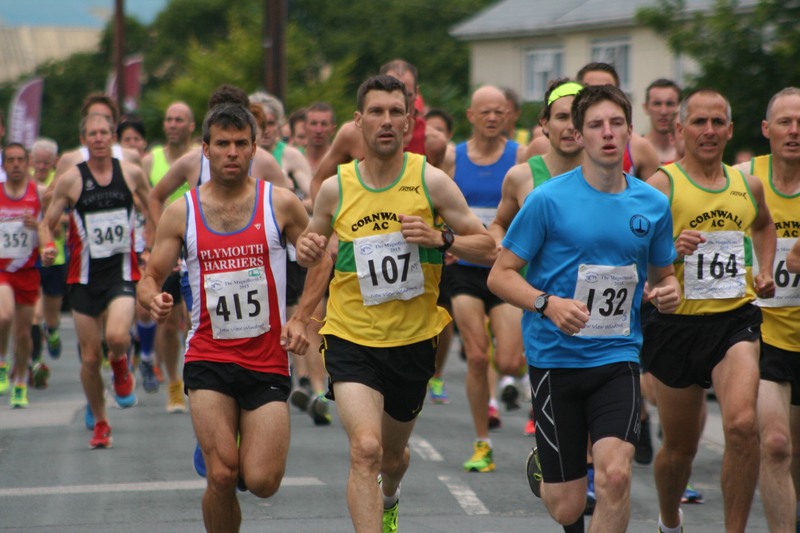 Colin Snook (number 107) won the race in 38 minutes and 56 seconds, with his Cornwall team-mate Ben Pochee second in 39.40. Tavistock’s Neil Barkell prevented a one, two, three for the Duchy club by edging out Paul Whear for third. Barkell finished in 40.04, with Cornwall AC’s Whear just one second behind. Plymouth Harriers’ Alex Lockett was fifth in 40.29. The women’s race was hotly contested with less than a minute separating the top five. Cornwall’s Amy Sole won in 47.17. She was six seconds ahead of St Austell’s Jessica Buscombe in second. Rachel Bunting was third in 47.50, Erme Valley Harriers’ Cleo Perry took fourth in 47.55 and Wilmslow’s Sharon Johnstone was fifth in 48.04. The race, which saw 385 runners finish the hilly course, was organised by Tamar Trotters and forms part of the Cornish Grand Prix Series. Slideshow may take a few minutes to open, depending on your computer. Excellent report again PSG and so fast!! Thanks for being there and covering the event.